The women of Enugu State have reiterated their support for the re-election of Governor Ifeanyi Ugwuanyi, pledging to work harder to ensure his landslide victory at the poll. Rising from a Town Hall meeting organized by the women wing of the state chapter of the Peoples Democratic Party (PDP), which was graced by Gov. 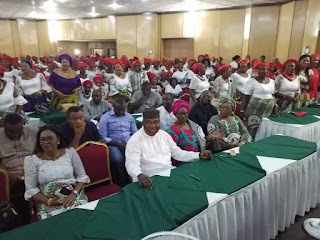 Ugwuanyi, the excited women commended the governor for his commitment to their well being and the giant strides his administration has recorded so far in the state. 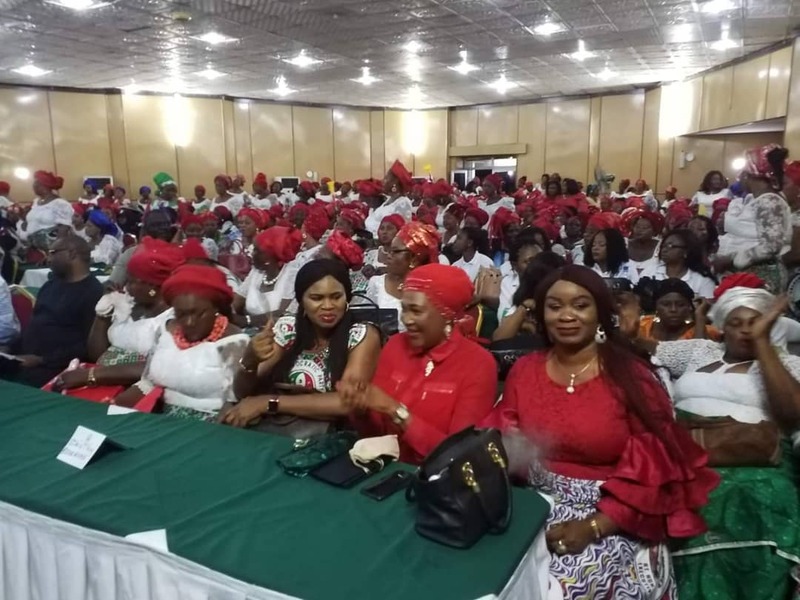 They described Ugwuanyi as the most women-friendly governor in the history of Enugu State and promised to continue to canvass vigorously for votes in favour of the governor and the party, in their various polling booths and ensure that the votes count. Speaking earlier at the colourful and well attended event, a member of the Board of Trustees of the PDP and former Nigerian Ambassador to Guinea Bissau, Amb. Mrs. Justina Eze, charged the women to remain committed to Gov. Ugwuanyi's re-election and play their leading role as the most influential factor in the family. The PDP chieftain stated that Gov. Ugwuanyi has continued to cater for the needs of the women, disclosing that he has performed creditably and demonstrated the political will and commitment to the advancement of peace and good governance in the state. well with everybody irrespective of class, religion or political leaning, saying:"Since I ventured into politics, 40 years ago, I have never seen a governor like Ugwuanyi". Amb. Eze, told the excited women that their choice of Gov. Ugwuanyi as their governorship candidate in the forthcoming elections was a welcome development that will yield more fruits for them, accordingly. Her words: "If you know all the good things he (Ugwuanyi) has been doing for us, this is the payback time with our massive votes". Other speakers at the event, such as the member representing Igbo-Etiti/Uzo-Uwani Federal Constituency, Rt. Hon. Stella Ngwu; former Minister of Aviation and PDP BOT member, Amb. Fidelia Njeze; Commissioner for Gender Affairs and Social Development, Princess Peace Nnaji and State Party Woman Leader, Mrs. Vera Ezeugwu, lauded the governor's leadership qualities and his contributions to the upliftment of the well being of the women of the state and reiterated their firm resolve to intensify efforts towards the governor's re-election. the presence of the governor at the event, describing it as a demonstration of humility and passion for their well being. Responding, Gov. 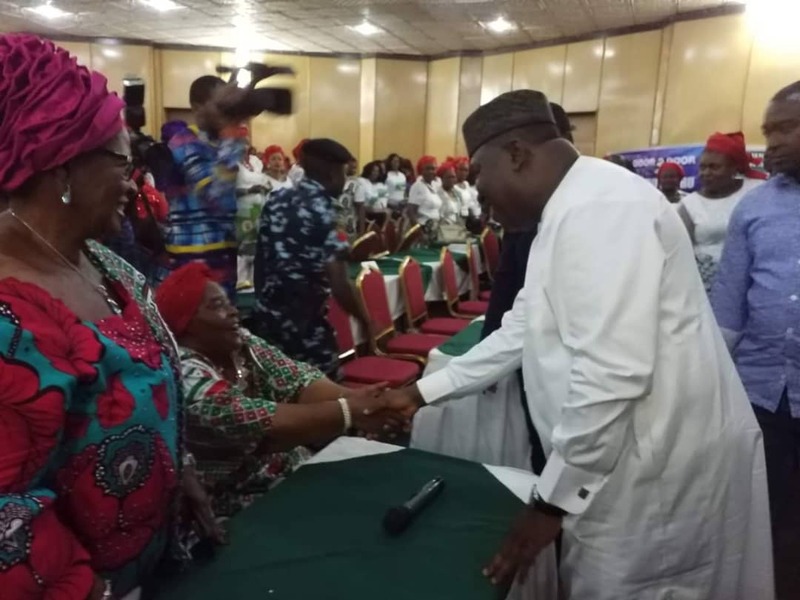 Ugwuanyi emphasized the importance of women in politics and governance and appreciated their tremendous support for his administration and his re-election bid. The governor who reiterated his determination to advance the welfare of the women, urged them to take the message from the Town Hall meeting to the grassroots where the majority of the electorate reside.